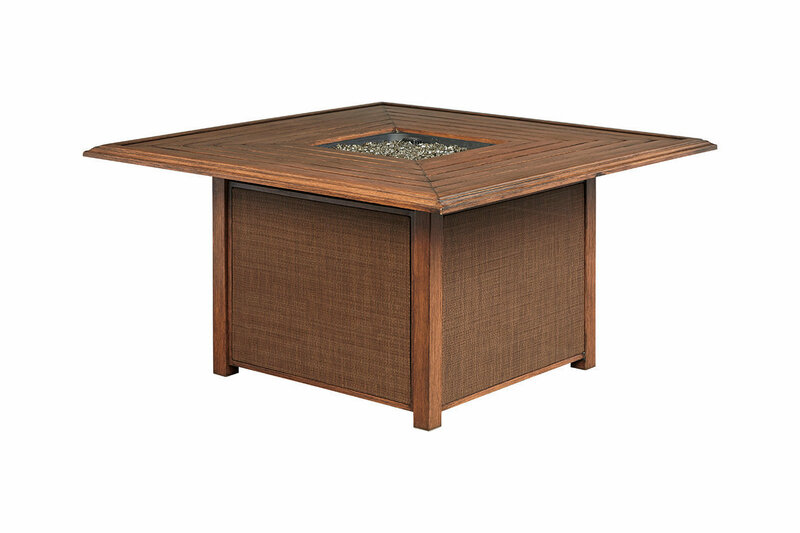 Create warm memories gathered around the Zeplin fire pit table. The oversized square shape has a smooth, quick-draining slatted top and airy PVC mesh sides. Durable all-weather aluminum frame is hand-finished to resemble weathered wood. The propane fire bowl quickly ignites at the push of a button. Included burner cover transforms fire pit into a coffee table.